In a surprising move today, the International Olympic Committee (IOC) has decided to drop Greco-Roman wrestling from the Summer Olympic games. My initial reaction was that this was a joke. 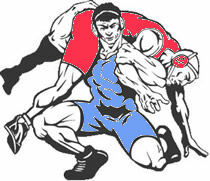 Why would wrestling, one of, if not the original sports that the Olympics was founded on, be dropped from the Olympics? What’s the thought process behind this? Were the right countries not winning enough medals? Or is simply that this sport is not drawing enough money for the Networks that bought the rights to air the Olympics? But for the IOC to bow down to these corporate coffers and completely drop wrestling from the Olympics is just a travesty for sports enthusiasts and athletes the world over. When events like rhythmic gymnastics, table tennis, dressage, and badminton thrive, the sport of sports that encapsulates what the Olympics are all about is the one the IOC has decided is irrelevant. Wrestling’s popularity has taken a huge blow in America. I am not blaming title IX for the demise of collegiate wrestling in America, but if it didn’t pull the trigger, it definitely was responsible for loading the gun. When the sport was dropped from most colleges as a scholarship sport it pretty much led to the sport’s death throws. It also pushed the sport’s the best athletes dedicating their skills to sports that received scholarship consideration. But for those few who stayed with it, determined to strive forward and become champions, they knew that their success would not be met with fame and fortune. A greater joy and reward awaited the victor, an opportunity to compete on a world stage at the Olympics and bring home a win for their country. This sport is the epitome of what the Olympics are all about. It pits two men against one another in the most primal physical display as they proudly represent their respective nations, twisting and contorting themselves, intertwined in a struggle that utilizes the wrestlers skill, force, determination, and sheer will against one another. Isn’t that what the Olympic games are all about? Displaying physical superiority for the pride of one’s country. Maybe the International Olympic Committee doesn’t’ understand wrestling? Maybe all they see is a tangled matted mess of bodies when they watch these two gladiators engage each other. And although I have never wrestled, my sister and cousins growing up don’t count, I have known many guys and girls that have. They are some of the most devout, intense athletes I have ever known. The training, the dedication, the will power, and the intense mental discipline this sport requires is awe-inspiring. And for the IOC to toss it aside like a used gum wrapper into the winds of obscurity is a smack in the face to all the coaches, parents and athletes that have dedicated their lives to this sport. This move is directly connected to the desire to eliminate sports that are not money making professional draws from the Olympics. The Olympics used to be a competition that pitted amateur athletes against one another in a battle of nations that spanned over a thousand years for national pride. The IOC, motivated by their own greed want to eliminate sports that are not fiscal draws, in place of sports that are easy for the media to follow and that fit into the nice neat 10 to 15 minute slots they have slated for the TV audience. Am I surprised they are pandering to money and greed? No. Remember, this is the same organization that gave the Olympics to Nazi occupied Germany in 1936. They have proven time and again that they are not the most responsible custodians of this world wide sporting event. This is going to take some action from us, the general public, if we want to let it be known that the elimination of this sport in the 2020 games is not something we will take lightly. We need to let the IOC know that this trespass against the integrity of the games is not acceptable. That we will not allow them to take away something that has been a staple of the Olympic games for the past 1200 years. Here is the link to the IOC page. Let your feelings be known. The idea that they are “modernizing” the game is ridiculous. There is something called tradition that we should all value. The Olympics have brought me some of the best sports memories and heroes in my life. Let’s do what we can to preserve the soul and grandeur that the Olympic games have come to symbolize to the nations of the world.